She designed the user-interface of the famous animating bubble-chart tool called Trendalyzer, used by millions of students across the world, to understand global development trends. 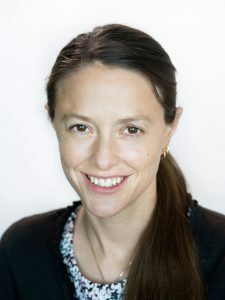 The tool was acquired by Google, and Anna worked at Google in Mountain View, CA as a Senior Usability Designer 2007 to 2010. At Google Anna improved search results for public data, developed data exploration tools for Public Data and made a bubble tool gadget (Motion chart) in Google Spreadsheets. In 2010 Anna came back to Gapminder to develop new free teaching material. Anna is now Vice President and Head of Design & User Experience at Gapminder. She also sit in the Gapminder Board. Anna holds a Master’s Degree in Sociology and a Bachelor’s Degree in Photography. Anna likes to lecture about Factfulness, Dollar Street and data story telling. Anna is fluent in Swedish and English. 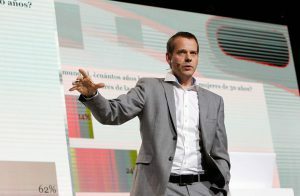 Ola Rosling is President & Co-Founder of Gapminder Foundation which he founded together with his wife and his father. Since 1999 Ola lead the development of the Trendalyzer software, which was acquired by Google in 2007. At Google Ola and his team delivered the Motion Chart as part of Google Spreadsheets. As Product Manager for Google Public Data Ola then helped democratized access to Public Statistics by developing the infrastructure needed to make official statistics part of Google Search results. Ola & Anna came back to Gapminder in 2011 to develop free teaching materials for a fact-based worldview. 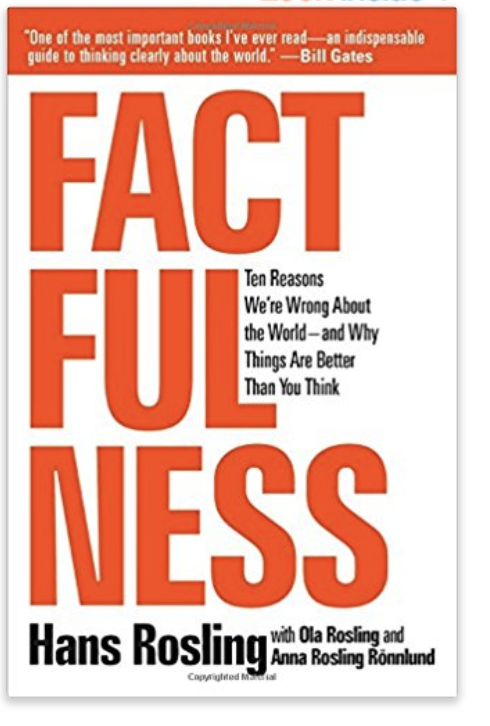 In 2014 Ola coined the term Factfulness, which Gapminder is now promoting in order to make the education about Sustainable Development less ideological and more fact-based. Ola is fluent in Swedish and English and can communicate in Spanish. Mikael Arevius is a pedagogue and teacher in social sciences. 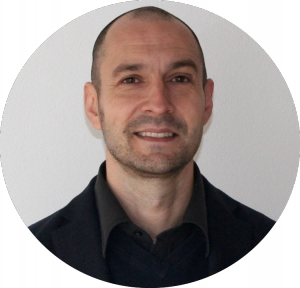 Mikael has worked in the Swedish educational sector as a project and curriculum manager, lecturer and writer of teaching materials. He developed teaching material for the Nobel Museum and co-authored the book “Rädda lärare: om rädsla som hot och möjlighet”. The focus in his work is to develop a learning practice that enables a better understanding of the world we are living in. Mikael is fluent in Swedish and English. 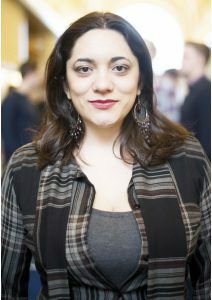 Fernanda is fluent in English and Portuguese, communicates well in Spanish and can speak basic Nepali and Swedish. Jasper is an inquisitive traveler and a lover of logic and language, responsible at Gapminder for the architecture and implementation of their data visualization (Vizabi) and data harmonization (Open Numbers) projects. His drive is that learning, in the broadest sense of the word, is key to a better world and that the power of IT to educate effectively through interactive experiences should be available to anyone, from true IT wizards to his own mum. 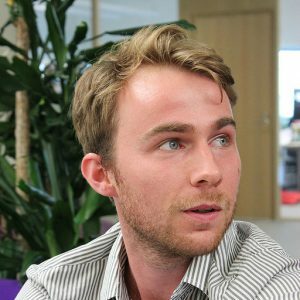 Before starting at Gapminder, Jasper freelanced to support his studies towards a MSc degree in Human Computer Interaction and Design. During this time he got to design and code company websites, interactive museum exhibitions, mobile applications, a baby-kick simulator for expecting daddies, a robot companion for diabetic children and an interactive outdoor playground. When not behind a laptop, you’re likely to find him in a kitchen or in nature. Jasper enjoys giving technical presentations about Gapminder’s data model. Jasper is fluent in English and Dutch, proficient in German and speaks basic Swedish and French. Angie is a communication designer and data graphics developer, working since 2015 with Gapminder Foundation in Stockholm, Sweden, where he is responsible for the integration of the various software efforts around gapminder.org/tools and developing the new data pictures. Previously designed and developed data-intense visualisations for oil platform safety monitoring (ABB Research, Sweden), user interfaces for online payment aggregator (Robokassa, Russia), control systems and operator user interfaces for the ore processing factory (Realtime Software, Russia). Holds academic degrees in Human computer interaction and design (2014), Innovation and Entrepreneurship (2014), Industrial Automation and Control Systems (2011), and a title of a Ph.D. drop-out. Angie has a Russian-Swedish origin, speaks almost four languages and is 27 years young. His free time activities are climbing, alpinism, skiing, downhill mountain bike, data art, photography, complaining about number formats and not using Oxford comma. Angie likes to give technical presentations about Gapminder’s visualisation tools. Angie is fluent in English, Russian and Swedish, and can communicate in some German. Helena is fluent in Swedish and English.